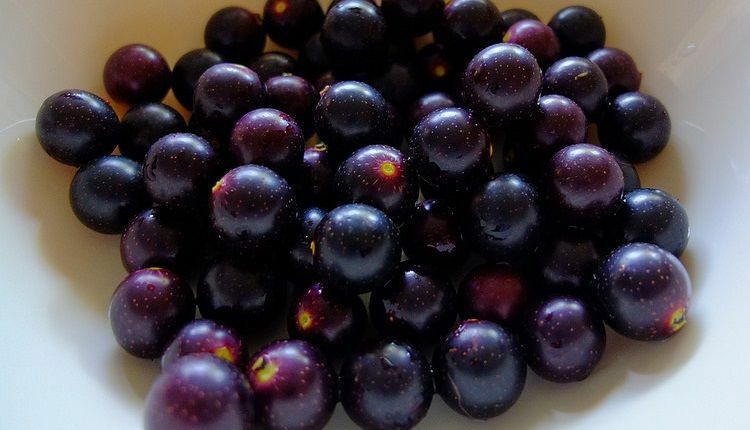 Muscadine is a wide category of grapes that includes many varieties of black and bronze fruits. Scuppernong is a variety of Muscadine. That is why, it is said that all Scuppernongs are Muscadines, but not all Muscadines are Scuppernongs. Their basic differences are in their relationship, which means one is a cultivar of the other. So, one can call any Scuppernong grape a Muscadine, but one cannot call any Muscadine grape a Scuppernong. Both Scuppernongs and Muscadines are a grape species and native fruits of the United States of America. Muscadines are dark purple in color, whereas Scuppernongs are greenish or bronze in color. In other words, red variety grapes are Muscadines and white variety grapes are Scuppernongs. Wine made from Scuppernongs is white in color and wine prepared using Muscadines is known as red wine. The inner flesh of Muscadine grape tastes sweet versus the inner flesh of Scuppernong, which is less sweet and more acidic when compared to Muscadines. Both these varieties of grapes have unique health properties and they offer an array of health benefits when it comes to health and overall well-being. The Resveratrol content of the dark or purple variety grapes is higher than the green or bronze variety. The darker a grape’s skin color, greater is the content of phytonutrients or plant chemicals in it. Resveratrol is a compound that fights against heart diseases and cancer. So, if you want to get an extra dose of Resveratrol, add some Muscadines to your regular diet. The bright colored Muscadines contain more antioxidant and anti-inflammatory properties versus the green variety of Scuppernong grapes.